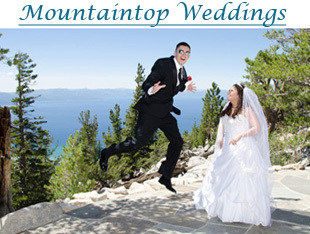 Welcome to beautiful Lake Tahoe where brides and grooms from around the world come to have the wedding of their dreams. 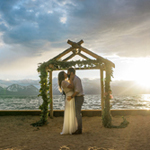 Simple yet romantic Lake Tahoe weddings take place year-round on the scenic beaches, mountaintops, and in the jocund chapels of this magnificent alpine lake nestled high in the heart of the Sierra Nevada Mountains. 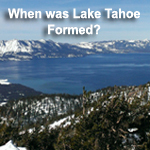 Situated in Northern California bordering Nevada, this grand utopia is positioned at an altitude of 6,200 feet and is the largest alpine lake in North America. If you’re looking for a spectacular place for your destination wedding, Lake Tahoe is a premier spot to begin your new lives together. Let our professional staff assist you with planning your once in a lifetime event and help make your special day a most memorable one. If you’re planning a wedding in Tahoe, you’ll find an abundance of diversity with all of our unique wedding locations, each having their own character and beauty. From colorful lakeside beach weddings to the towering bluffs of Emerald Bay, it’s easy to select and book an ideal location to consummate your marriage. 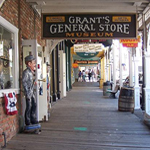 Combine the distinctive variety of available wedding locations with the simplicity of attaining these picturesque and romantic ceremony sites for your special day, and the allure to be pronounced husband and wife in Lake Tahoe becomes clear. 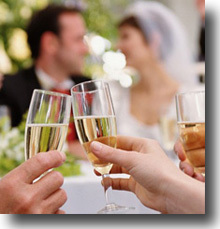 It’s truly a place of paradise where multitudes of newlyweds have happily begun sharing their lives together as one. 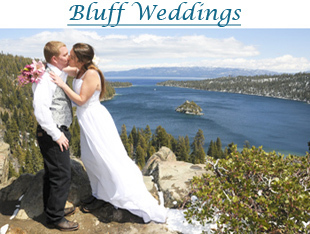 Tour around the lake and see actual Tahoe weddings at various locations! A Simple Tahoe Wedding – Let Us Plan it for You! 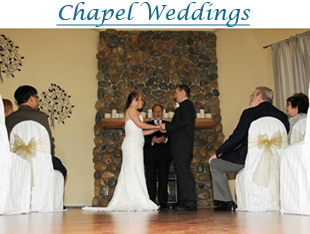 We specialize in simple Tahoe weddings – simple for you because we’ll plan every detail! From an intimate casual wedding of two to an intricate formal one of 200, our professional staff will do all the footwork for you and arrange the wedding of your dreams. 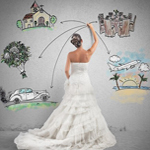 All of our affordable wedding packages include reserving your chosen wedding venue, acquiring all site or city permits and paying the appropriate fees. 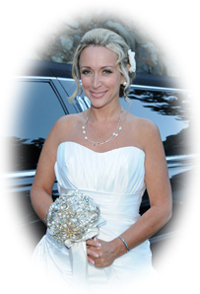 Our services also include coordinating the minister, photographer, limousine service, marriage license, floral arrangements, and all other needs specific to your ceremony, assuring you of a stress-free day and the beautiful Tahoe wedding that you envisioned. 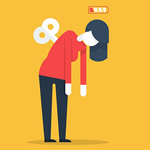 Booking is Easy – Reserve Your Date Now! To reserve your date, simply choose one of our premier wedding locations to host your special day and give us a call or complete our information request form. If submitting a request form, we’ll tentatively schedule your date on our calendar without obligation until you speak to a staff member. 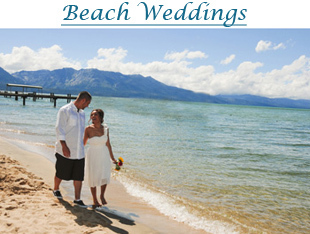 Planning a Tahoe wedding couldn’t get any easier! 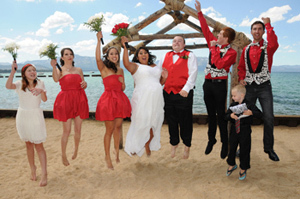 We perform Tahoe weddings throughout Lake Tahoe in both California and Nevada.